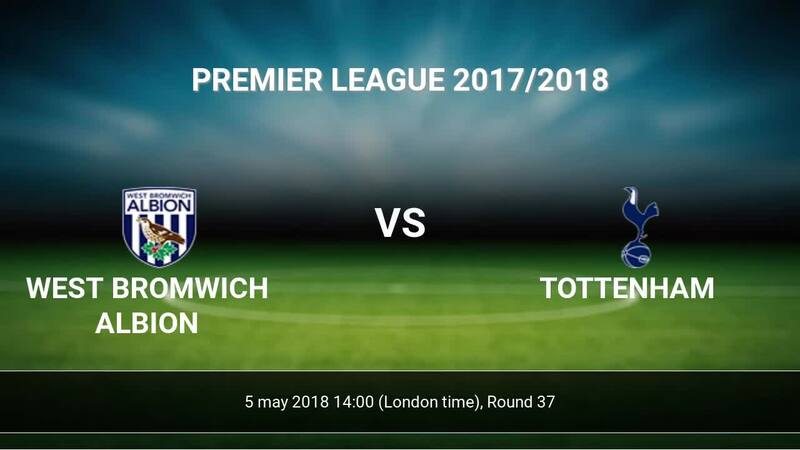 Match West Bromwich Albion-Tottenham Premier League the fixture is set to kick-off today 14:00 on The Hawthorns. Refereee Mike Jones. Team West Bromwich Albion is in the releagtion zone of the table. 20 position. Last 5 games (league + cup) finished balance 8 points. West Bromwich Albion from 6 matches at home can not beat any rival. 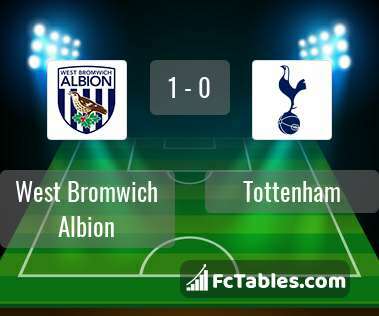 West Bromwich Albion has not been defeated from 4 matches. To defend Tottenham the most demanding players will be Jose Salomon Rondon 7 goals, Jay Rodriguez 7 goals, Jonny Evans 2 goals, because this season they scored the most goals for West Bromwich Albion of the entire composition. Most goals developed: Jose Salomon Rondon 3 assists, Jay Rodriguez 1 assists, Jonny Evans 2 assists. Team Tottenham is at the top place in the table (4 place). Tottenham in 5 last matches (league + cup) have collected10 points. away from 9 matches team have not been defeated. The best players Tottenham in Premier League, who scored the most goals for the club: Harry Kane 27 goals, Heung-Min Son 12 goals, Christian Eriksen 10 goals. Players with the most assists: Harry Kane 2 assists, Heung-Min Son 5 assists, Christian Eriksen 10 assists. Injured players Tottenham: Harry Winks. Direct matches: Tottenham won more direct matches. 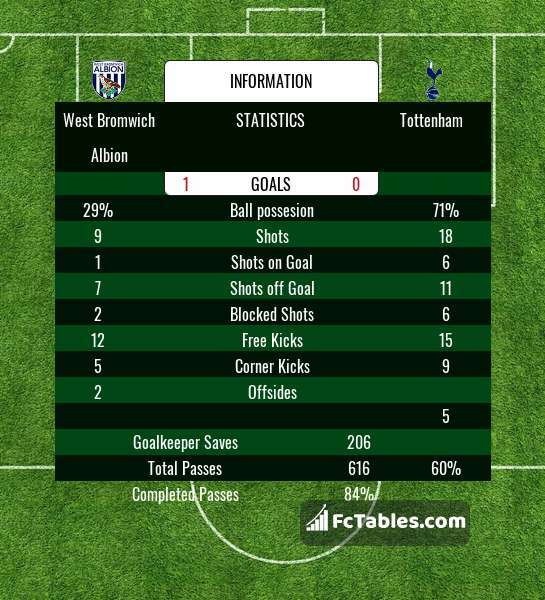 West Bromwich Albion won 3 matches , Tottenham won 10 direct matches, was a 12 draws. In 9 matches the sum of the goals both teams was greater than 2.5 (Over 2.5), and 21 matches teams scored more than 1.5 goals (Over 1.5). In 17 matches the both teams scored a least one goal (Both teams to score).